Everyone enjoy their Memorial Day weekend? 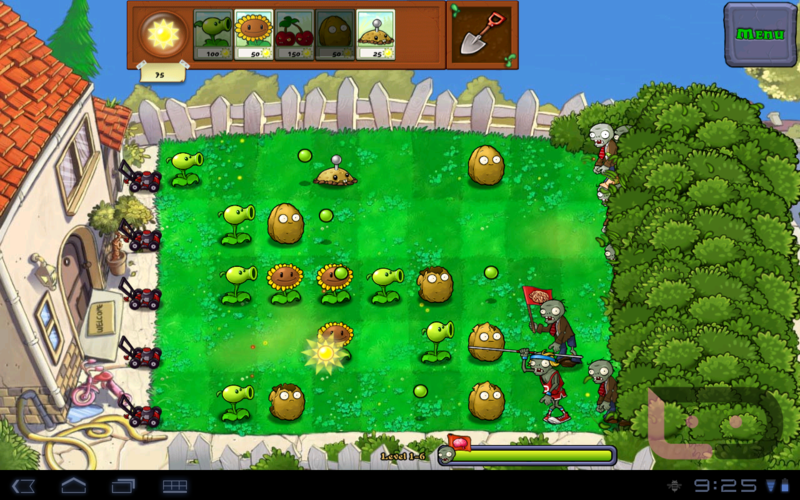 If you’re looking for a little bit of happiness to get you through the work day, Plants vs Zombies was released today on the Amazon App Store and in true Amazon fashion, made it the free paid app today. Normally it costs $2.99. That’s a whole lot of awesome. We knew this game was coming and was very highly anticipated. The object of the game is to fend off the hoards of zombies that are approaching your front door. In this situation, I would probably prefer a minigun or a tactical nuclear weapon but seed spitting plants come in third on my list. 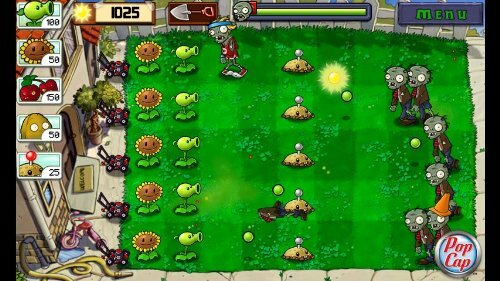 So as the zombies approach, you capture drops of sunshine to help grow plants of all different kinds. You have shooter plants, sunflowers, cherry bombs, and more. Every plant has a sun value in order to grow the plant. When you capture enough sun drops you can place the plant where you think it will best serve. It’s an addicting process. I’m hearing that on some tabs later levels are experiencing some lag and I’m not sure of the complete device availability as I am also hearing that the OG isn’t capable of running it stock. Let us know what device you have and your opinions on the game. So I have an original Droid, and I decided to DL Plants vs. Zombies (free app of the day). It said my device is incompatible, so I found that if you go to the Amazon app store online & click get app, it will be saved to your app list (with an Incompatibility notice). After it’s on your app list, you WILL be able to download it to your device from the Amazon app store on your Droid. Also it takes up around 75mb & can be moved to SD. Hope this helps! *Yesterday we took a look at DropSnap. Cheers to Edgar, Bill, anish and everyone else for the PvZ tip!